The following letter was published in this week’s issue of the Gazette. Even as the projected cost rose from $300,000 to over $1 million, nobody really thought the Croton Point Avenue (CPA) project was going to come in cheap. Outside the walls of the Municipal Building, realistic talk in Croton was that this was going to cost $3 to $5 million. The $2.9 million low bid indicates that our Croton politicians and municipal officials were snookering us once again. Assuming even a modest 10 percent overage brings us to $3.2 million, and adding in the $600k already spent gives a figure of $3.8 million. That means that with a few “change orders” and an unforeseen obstacle or two, the CPA project is going to be over $4 million. Even by the standards of our free-spending Board of Trustees, that’s decent money. It is time to revisit the necessity of this project. The prime issue that initiated this was a claim that rush hour traffic to the train station was too slow, and that traffic was backing up onto Route 9. The “solution” is supposed to be the installation of 2 more stoplights. While it is true that there is a bunching of commuters catching the 4 express trains between 7:15 and 7:45, that hardly seems reason to spend millions of dollars. In addition, driving through Briarcliff along 9A in the morning demonstrates that that stop lights themselves can create bottlenecks. Much has been said about the narrowing of vehicle lanes to accommodate two new bicycle lanes. Croton is a hilly village which is cold for much of the year, so there are not a lot of bicycle-riding commuters. We were told by our politicians that CPA was a “gateway” and while I can appreciate that having empty bicycle lanes is going to impress passing motorists with Croton’s commitment to going green, I think they will change their impression once they make a left at the top of CPA and pass by 3 gas stations lined up along Riverside. The sidewalk along the north side of CPA is more than adequate for the few commuters who walk from Harmon. And the north side is safer for pedestrians than the south side, particularly opposite Giovanni’s. It is true that installing a sidewalk on the south side of CPA makes walking to ShopRite easier, but I doubt that there will be any upsurge in people walking from the train station to ShopRite. The last significant part of the project is to change CPA from concrete to blacktop. The existing roadway was expensive to install but lasts much longer and hence is economically the best choice. Our Board of Trustees will be paving that over with blacktop, and then we will be paying every spring to fix the potholes and paying every few years to mill and repave CPA. We have a pattern in Croton. Our politicians get a fixation, deceive us as to the cost, and after the damage is done the Board of Trustees is on to their next harebrained scheme. Croton taxpayers are left holding the bag. Years ago, CPA was pitched with a claim that this would not cost Croton taxpayers much money. That was false, but the other part of that claim was also troubling. Our politicians told us that Albany and Washington would pick up most of the tab, and so we should race to grab the money. Belief that other people would get stuck paying for Croton’s profligacy resulted in glossing over the question as to whether the CPA project was necessary. We should pause to consider the broader civic consequences of our original greediness that led us to not be concerned about fiscal waste so long as the consequences were borne by taxpayers in other parts of the country. The CPA debacle is just another repetitive chapter in the same book. Much as we premised CPA on grandiose plans paid for by other people, we are right now cleaning up (at a cost of over $1million) the Gouveia mess which was premised on grand plans and talk of a Gouveia 501(c) getting grant money from Albany and Washington, plus gate revenue from lawn concerts and poetry readings. And of course the massive (and costly) expansion of Croton government office space to accommodate the DPW, Recreation Department, and the police is a story in itself. We live in a state with the highest tax burden in the nation, in a county with the highest property tax burden in the nation, and a village which has burdened its residents with one of the highest debt levels in the state. At some point, this is going to become unsustainable. 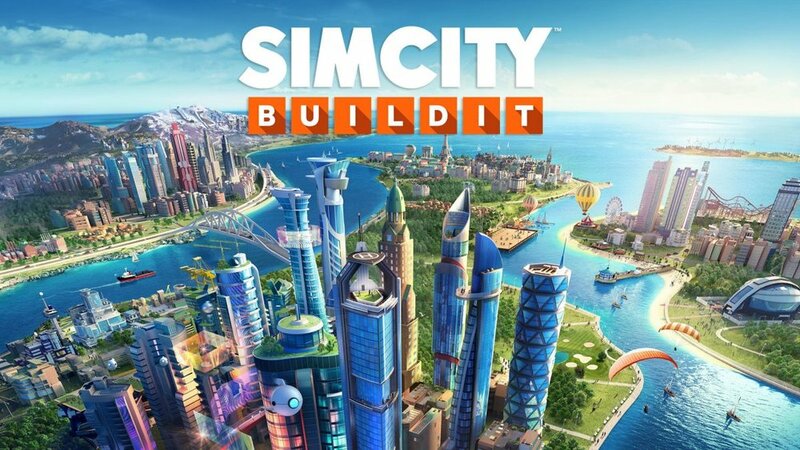 Our Board of Trustees and Village Manager need to stop regarding Croton as a real-life SimCity funded by Monopoly money. They could start by rethinking the CPA project. As someone who has driven my wife daily to and from the Croton-Harmon station for nearly 30 years, I feel compelled to give my observations of the commute and the proposed Croton Point Avenue (CPA) “improvement” project. The narrowing of the four CPA travel lanes to a minimum NYSDOT standard (12 ft. to 11 ft.), and the lack of fluidity with the bike lanes will improve neither movement nor safety. Drivers already need to pay very close attention when making that right turn out onto CPA. I can only imagine the side-swiping that will occur if we lose two total feet of lane width exiting the Croton-Harmon station. Fragmented bike lanes that abruptly vanish at either end of CPA will create a false sense of security for anyone but the most seasoned rider. Interestingly enough, there will never be any bike lanes on the stretch of South Riverside between Benedict Boulevard and CPA, at least not without massive, and costly, land acquisitions. They simply do not fit. As for any ‘congestion,’ especially as it pertains to the southbound Route 9 exit ramp; well, Croton created that around 10 years ago by removing the left-turn arrow from the right CPA travel lane, effectively rendering the lane useless. Today, cars back up the exit ramp, waiting for the moment they can jam their way into the left lane. Returning to a two-lane entry into Croton-Harmon Station can be remediated right now, today; with a simple restriping. Of course, there are other common-sense, less disruptive, fixes that can be done to bring improvements to the street. Let’s change the signal at the corner of South Riverside and CPA to reflect a “no right on red” to allow for a smoother traffic flow from the northbound Route 9 exit towards the Croton-Harmon station. (And when was the last time anyone has ever seen the pedestrian crosswalk light on that corner turn green? Never.) Let’s not tear up, or cover up, the concrete roadway surface, which is actually in good condition and lasts significantly longer than asphalt. (One entire lane was redone by Con Edison contractors just in the past year, so it's in excellent shape.) Finally, let’s return reasonable, off-peak, on street parking (10 a.m.-3 p.m.?) to the north side of CPA, for the benefit of its businesses and their customers. As for this project, it’s high time to kill it once and for all, and stop throwing good money after bad. We are used to hypocrisy from our federal and state politicians, but Washington and Albany have nothing on our own Democratic Village Board. During last fall’s campaign, candidates Pugh, Horowitz, and Attias manufactured a huge issue over the Croton United Board’s one-year deferral of the purchase of a replacement for aging fire truck 118. OMG, they cried! The existing apparatus is disintegrating before our very eyes! This is a really, really serious public safety concern!! Our very lives will be in danger until the new truck arrives!!! We’re doomed!!!! We’re all going to die!!!!! Somebody save us!!!!!! Please!!!!!!! Quickly!!!!!!!! In the 2017-2018 budget adopted by the CU Board, the replacement was to be purchased in the 2018-2019 fiscal year at a cost of $700K. So, due to the extreme urgency of the situation, you would have expected that the very, very first thing the new Dem Board would do was to place an order for the new fire apparatus to save us all from certain extinction. But is that what happened? Of course not. The first major expenditure made by the Dem Board was to purchase a $250K study and design for the ill-advised Croton Point Avenue Project. Clearly, in their opinion—and they certainly know better than anyone else in the village—the CPA project is far, far more vital than replacing the fire truck they previously insisted would completely collapse as flames were shooting out of our windows and doors. In the Dems budget, the replacement has been deferred yet another year, to F.Y. 2019-2020. And the cost has ballooned to $875K. An additional $1.5 million will be borrowed to be ultimately squandered on Croton Point Avenue. There are only two possible explanations for this. Either Mr. Pugh, Ms. Horowitz, and Ms. Attias knew that the existing fire engine, while old, was still serviceable and would clearly be reliable for another few years, in which case they were totally disingenuous, and, as is the Dems way, were willing to say anything to get elected. Or, the truck has actually reached the end of its useful life and is no longer reliable, and we really are all in jeopardy, but they just don’t care about that. Those borrowings next year will blast right through the debt guidelines recommended by the Financial Sustainability Committee and adopted by the prior Croton United board. Further, the FSC, having identified serious financial problems looming in the future, recommended last fall that all future budgets include 5-year forecasts of revenues, expenditures, debt service, and capital expenditures, so that these problems can be identified early and addressed before they do real damage to the village’s fiscal health. However, the Dems’ budget addresses only a single year, except for the capital projection that, as has been the practice for decades, extends for several years into the future. It must be that, in addition to knowing what’s best for everyone else, the Board also believes that it is far better qualified than the financial professionals who make up the FSC to ensure Croton’s fiscal health. Although, to my knowledge, not one of them has any expertise whatsoever in finance. This financial wisdom extends to the $44K they propose to spend on cosmetic repairs to the Gouveia house, when, according to the Dems’ financial analysis used to justify the acceptance of the Gouveia property, the total cost of renovation and bringing the house up to ADA standards was just $110K. That’s a lotta work to be done with the remaining $65K. But they obviously must know something that escapes the rest of us. I don’t pretend to be a fiscal expert. But I do know enough to follow the advice of those who are, whether in my business or personal life. Concern that the Board has no use for the FSC and just wants it to go away, continues to grow. Then they can merrily spend unlimited sums of taxpayers’ money on all of their pet projects without fear of contradiction. For more on the Croton Point Avenue project see here. Part of the design for the $3.2 million Croton Point Avenue project. What Happened to Financial Sustainability? This letter was published in the Gazette on March 8, 2018. Well, it didn’t take Mayor Pugh and his colleagues very long to abandon any semblance of fiscal responsibility. 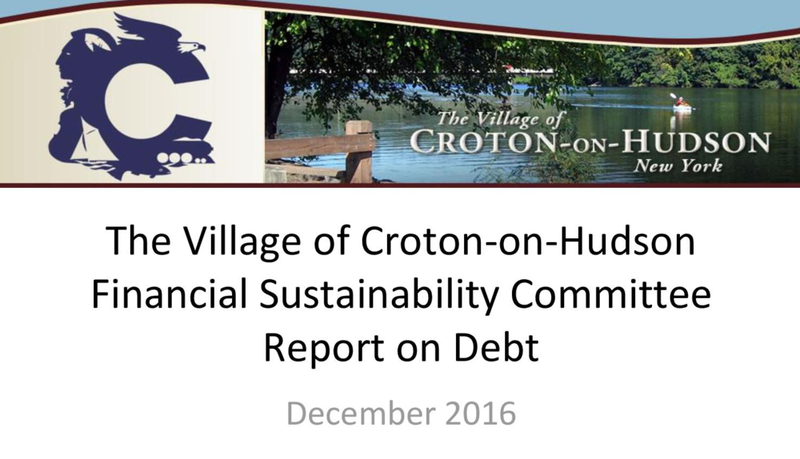 In 2016, Mayor Schmidt appointed the Financial Sustainability Committee (FSC) and, in cooperation with that committee, instituted financial controls, including controls on future debt, to end the chaotic state of Croton’s finances and ensure the long-term fiscal health of the village. Yet only days after the FSC reviewed its recommendations with the Board, and in response to questions regarding the ill-advised Croton Point Avenue (CPA) project, the Board stated that it would not abide by the debt control policy recommended by the FSC. The CPA estimate has ballooned to $3.2 million from $2.7 million and we have already expended over $400K before the first shovelful has been turned. Assuming that estimate remains valid, and taking account of the federal grant, additional money from the state, and the use of the entire fund provided to Croton by the county for lifetime CPA maintenance, we will still have to borrow an additional $1.5 million to fund the project. But the use of the $400K in the county fund is still problematic, as the terms of the CPA transfer may preclude the use of all of it for such a project. If any of that money proves to be restricted, we will have to borrow even more, further violating the FSC’s debt recommendations. And all future maintenance on CPA will come right out of the taxpayers’ pockets. Equally disturbing was the indication by some of the newer trustees during the FSC presentation that they had not read the FSC reports on the village’s debt and their recommendations on how to avoid significant financial problems in the years ahead. While this may be forgiven by their inexperience, one would have certainly expected that the Mayor would have instructed them to study the FSC reports before taking action on major village expenditures. Or was it that Mr. Pugh feared that, if they were aware of the precarious nature of future village finances, they would not support his attempt to ram this wasteful project through the Board? To date, we have spent about $172K of the federal grant money. As painful as it might be, serious consideration should be given to repaying those funds and terminating the CPA project before any more money is squandered on it. CPA was a bad idea when it was first proposed and remains a bad idea today. The sooner we get out from under it, the faster the village’s debt will be reduced to a level consistent with financial health and in concert with the recommendations of the FSC. One final note. The FSC provides an invaluable service to the village. These financial professionals devote uncounted hours to ensure that the village remains fiscally healthy. We could not afford their services if we had to purchase them. But if the Board continues to ignore the FSC’s recommendations, they may just conclude that they’re wasting their time and resign. And recruiting new members would become especially difficult. Or maybe that’s exactly what the Board has in mind. The following letter was published in the February 1, 2018 issue of the Gazette. In his latest promotion of the ill-advised Croton Point Avenue (CPA) project, Trustee Ian Murtaugh conveniently avoids addressing any of the issues raised in these pages a couple of weeks ago; namely, the project’s cost, its financing, its impact on budgets and taxes, and whether we can afford it at this time. “Going forward, the FSC believes that expenses will grow at a faster pace than revenue over the next several years, putting the village at risk to deplete the fund balance. The FSC believes that the Village should start to take measures to reduce operating costs now to avoid necessary deep cuts in future years if not addressed. The expense growth becomes exacerbated if the Village undertakes additional large-scale projects and/or violates the debt policy. Does the village board intend to comply with the debt policy adopted last year? Can CPA be funded, along with the new village garage, the new fire engine, and whatever other capital projects the board contemplates for the next few years, without violating that debt policy? How much has already been spent on CPA, what was the source of those funds, and what were they used for? Assuming that the ~$2.7 million cost for CPA is still appropriate, how will the balance of the project be financed? What allowance has been made for the inevitable cost overruns? What is the impact on village budgets and future tax rates? In light of the warnings from the FSC, how do you justify committing to CPA at this time? And, no, Mr. Murtaugh, I do not think it is short sighted to express concern over the long term fiscal health of our village, when financial experts, who understand such things far better than you or I, have raised red flags about piling more even debt on our overburdened village. Rather, I think it is short sighted for the board to make such commitments without regard for their future fiscal impact. The following letter was published in the January 25, 2018 edition of the Gazette. I’m afraid I must take exception to Ian Murtaugh’s glowing portrayal of the Croton Point Avenue (CPA) project. While consensus has not been reached that the project is even needed, and questions remain as to whether it will impede, rather than improve, safety, my concerns are principally financial. The Financial Sustainability Committee has warned that, unless action is taken, village expenses will exceed revenues in a few years absent significant tax increases. And our ability to deduct local taxes on our federal returns has been severely curtailed. Croton is already one of the most indebted villages in all of New York and debt service represents an inordinate share of the village budget. Piling on unnecessary debt under these circumstances is irresponsible at best. The previous board solved the problem of a new village garage, an act endorsed by almost everybody, at a cost of about $3 million, half of what had been previously estimated. The current board proposes the purchase of new fire apparatus at a cost approaching $1 million. That seems like a pretty good place to stop. The Dems record of estimating the cost of capital projects is spotty at best. The Elliott Way project had to be significantly scaled back when the bids received were well above the estimate, and even the reduced project cost will exceed that estimate. And who can forget that the $12,000 estimated for the driveway and parking lot at Gouveia Park morphed into an actual expenditure well above $200,000. The latest CPA estimate (January 2015) on the village website puts the cost at $2.681 million. In light of the above, this value must be viewed with great skepticism. It will be offset by a federal grant of $1.2 million, leaving about $1.5 million to be paid by Croton taxpayers. If the $250K state grant actually materializes (I have been told it was rescinded), we still have to come up with $1.25 million, plus all of the inevitable cost overruns. The use of the maintenance money paid by the county when the village took responsibility for CPA will only mean that future maintenance will have to come from other village funds. So before the village board goes crashing ahead with this ill-advised project, it is incumbent on Mr. Murtaugh and his colleagues to first, prepare an updated, accurate cost estimate for the project and second, to provide to the taxpayers an analysis of exactly how these costs will be met and what the impact will be on the village’s budget and on future taxes. When this is complete, I suspect that CPA will not look nearly as rosy as painted by Mr. Murtaugh. Croton United is a nonpartisan coalition of Croton residents of all political persuasions who have an interest in addressing issues of importance to our village and its future. We believe in the importance of building community through active citizen participation, and welcome diverse points of view. Our organization’s core values include providing stewardship to the village that ensures its continued financial sustainability, bringing civility and courtesy to the public debate, and ensuring openness and transparency in village government. Can Croton Afford High Density Housing? Will Croton’s Massive Indebtedness Continue to Grow? How Many New Residents is the Board Aiming For?